Go on a tasty tour around the globe with Recipes from Around the World: A Cookbook for Kids! With simple step-by-step instructions, helpful cooking tips, and color photos of each dish, this book is just the ticket if you want to make magic in the kitchen. Enjoy French quiche for breakfast, Indian chicken curry for lunch, Indonesian beef satay for dinner, and Scottish shortbread for dessert! Plus there are fascinating facts about each culture included throughout. 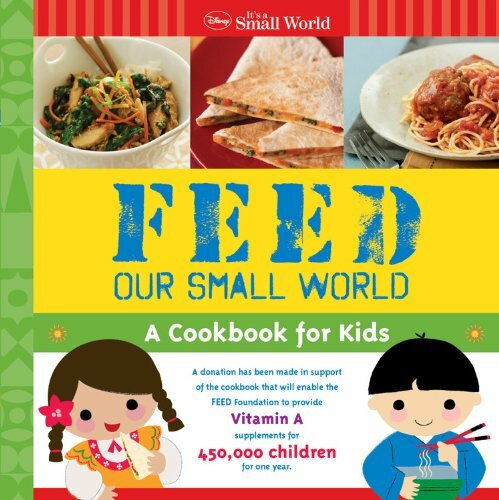 A donation has been made in support of the cookbook that will enable the FEED Foundation to provide Vitamin A supplements for 450,000 children for one year. FEED founder Lauren Bush, niece of George W. Bush, has contributed the introduction for the book.